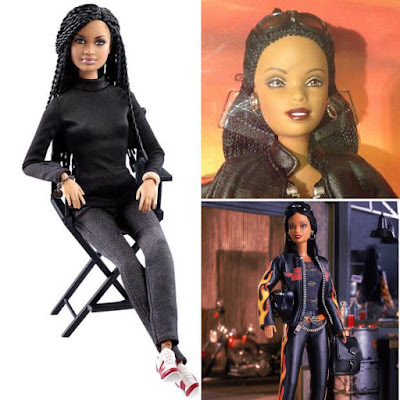 There's a lot of excitement around the new Ava Duvernay Barbie, and rightfully so. However, Mattel has also produced other fabulous Black Barbies for the adult collector. 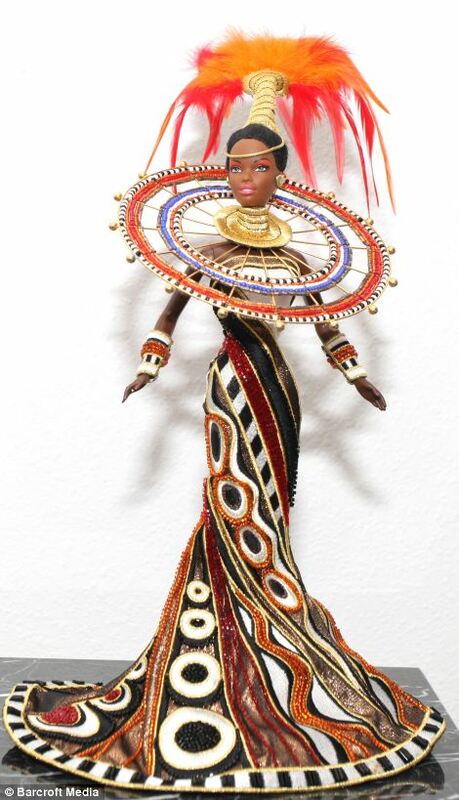 Here's one of my favorites, Mbili Barbie from the Treasures of Africa Collection by Byron Lars. She was produced in 2002 and is no longer available from Mattel. So the Ava Duvernay Barbie ‪sold out within an hour, or minutes, on the Barbie Collector website according to various media outlets. Wow. How many units are being produced? I was not one of the lucky purchasers. Deep sigh. 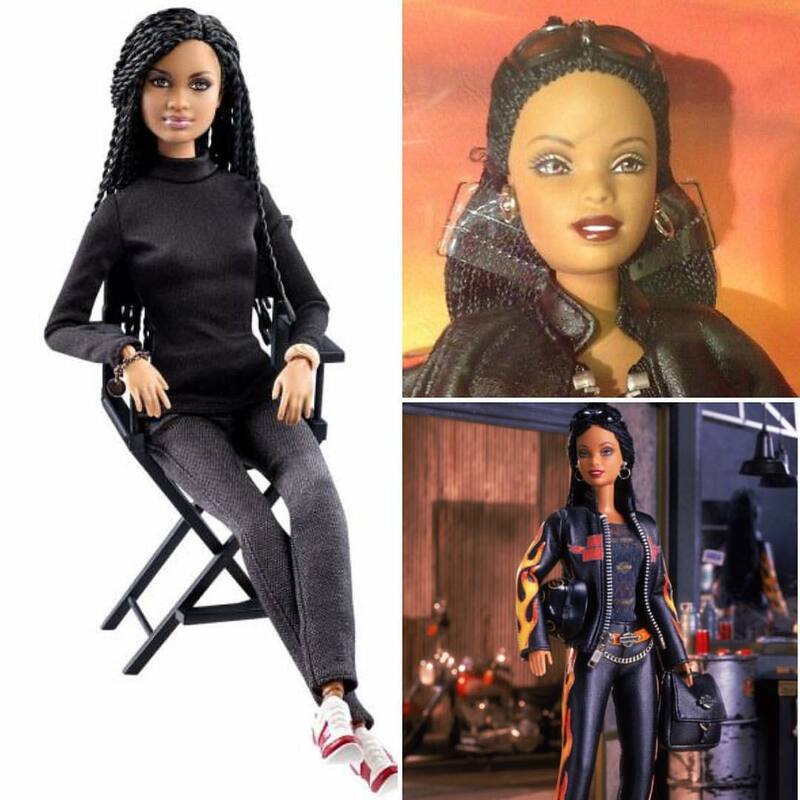 Loving the braided hair a lot like the African-American Harley-Davidson Barbie from 2001. 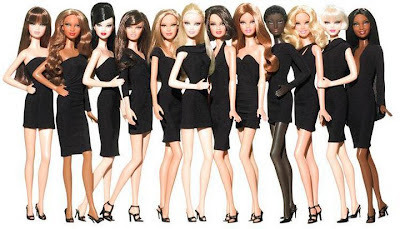 For sure many of my Facebook friends were unaware of the many Black collectible Barbies. 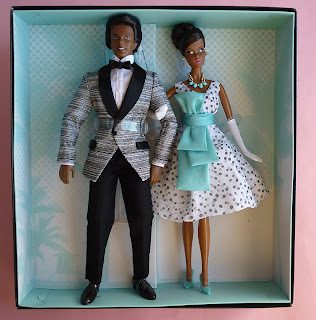 It's been fun sharing pictures and information on Black Barbies and my other collectibles. On this day of celebration of our Savior, be Blessed and be a Blessing to others. 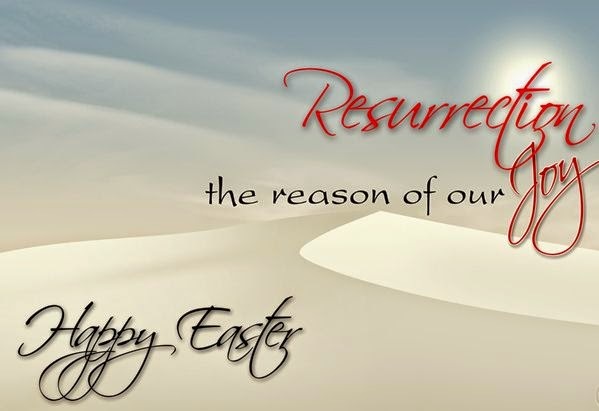 Happy Resurrection Day! Happy Easter! 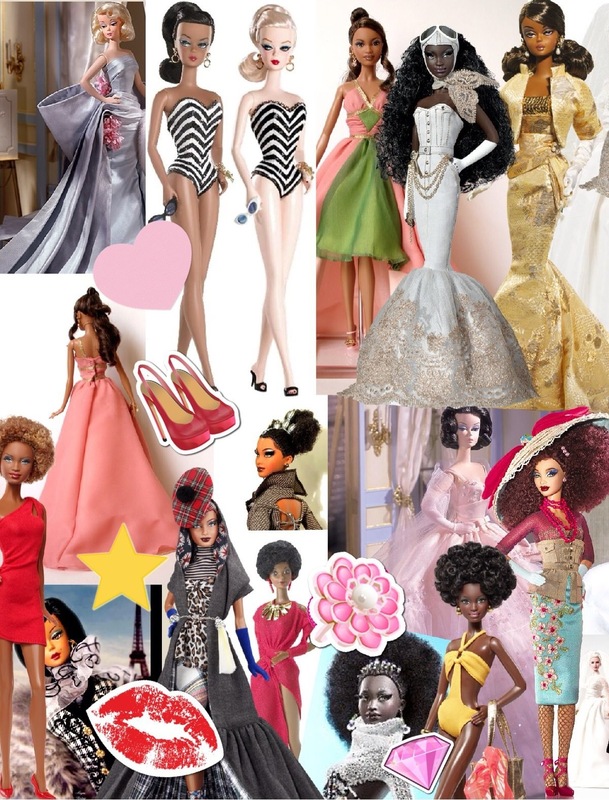 The fabulous collection of Barbie Collector Stanley Colorite was recently featured in the Daily Mail in the UK. 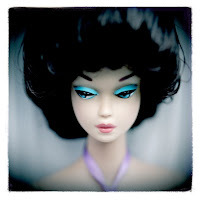 Close-up photos of a few of his dolls were published, including Pink Splendor Barbie and Billions of Dreams Barbie. 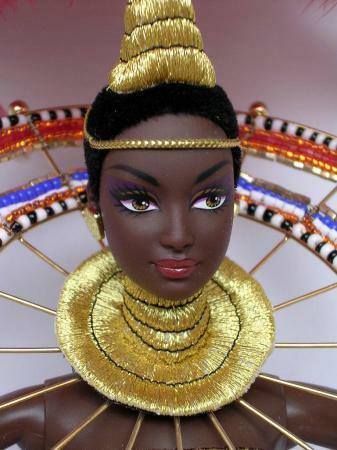 I noticed the doll dressed in the Bob Mackie Goddess of Africa Barbie attire. I'm not the face mold expert but that's not the Goddess of Africa doll because the face mold looks more like the Asha face mold that has been used on several Barbies. On display in the Barbie Man's massive 2,000+ collection is a doll that is not the original Goddess of Africa (see below). I do believe this doll wears the Asha face mold although it could be Christie. The Goddess of Africa face mold was also used on the Barbie Basics Model No. 04. Here is a great article with more information than you probably want to know about face molds used in Barbie dolls. It's a bit dated but still very informative. Ever thought about matching your fingernails to your shoes? Are you adventurous? Here's an interesting video on matching your nails to your shoes, if you go for that sort of thing. This is a photo collage I made using the Pic Collage app on my iPad. It was my tribute to Barbie for her 54th birthday this year. It was fun stress relief using my creative brain cells. 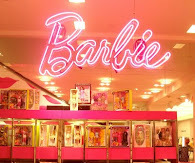 I would love to live in this Barbie room in the Barbie Man's home. He has three more bedrooms and a bathroom full of Barbie dolls and other Barbie toys. 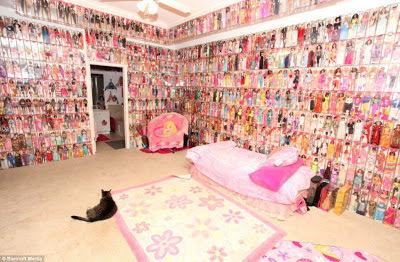 If you are a Barbie Collector, surely you've seen coverage of Stanley "Barbie Man" Colorite of Florida and his collection of 2,000 Barbies (and 3,000 outfits). I would love to bask in the fabulous Barbieness he has amassed. His collection fills four of the seven bedrooms and one bathroom in his beautiful Hudson, Florida home. Surely Stanley lives alone because no one would tolerate so much Barbieness, right? Wrong! Stanley's partner Dennis Schlicker, began collecting Ken dolls after he and Stanley met. So far Dennis has 1,000 of those. The couple has been together for 13 years. If Stanley ever allows private tours, I'd love to be on the list. The diverse beauty of Barbie! Happy Birthday! 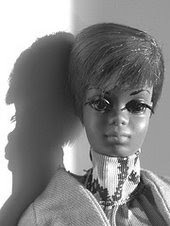 Barbie Millicent Roberts was born fifty-three years ago today. Any serious Barbie collector or Barbie blogger just has to recognize and celebrate this important day in history. Barbie started out as a blonde-haired beauty and has been transformed into every ethnic group in the world. In spite of the controversy about Barbie's unrealistic body proportions, she has provided girls the opportunity to be anything they wanted to be. 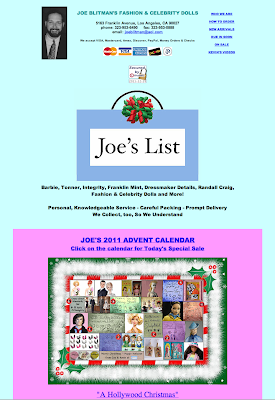 I really wish I hadn’t surfed across Joe’s List - Joe Blitman’s Fashion & Celebrity Dolls. OMG he has an extensive offering of hard-to-find doll collectibles for sale. 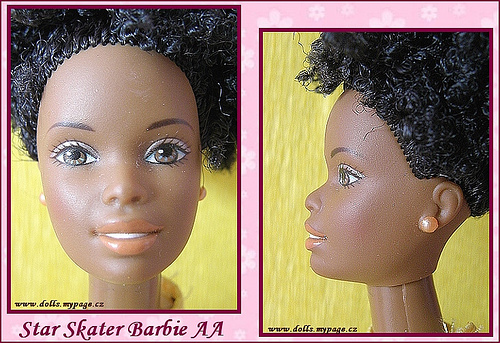 There’s an African-American Barbie Convention Doll Set I could die for but $400 is just not in my budget right now. Arrgh! He also offers other Convention items as well as mint condition clothing and accessories. 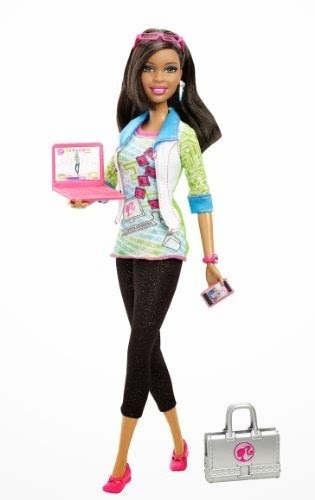 Check out the other Mattel fashion dolls available as well as fashion dolls by other manufacturers. Barbie and computer gadgets are my weaknesses so Joe’s site will definitely be a struggle for me to avoid spending money. Please pray for me...I am so serious.